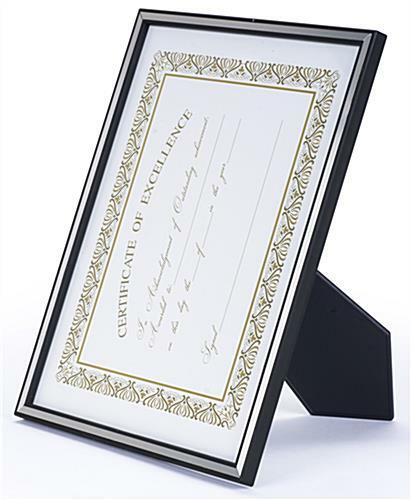 These 8.5x11 aluminum photograph holders are a perfect way to create wall, counter or tabletop displays for personal pictures, art, acrylic signs, business licenses or even plaques. 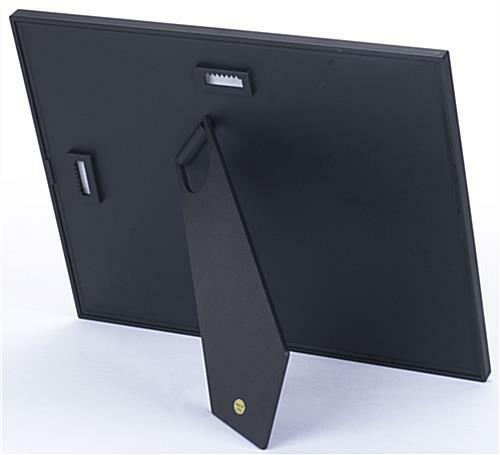 These sturdy metal document frames feature a protective glass front lens and the snap-in easel backers allow both desktop and wall mounting. 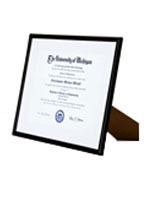 The black finish aluminum photograph holders with decorative silver borders will complement any environment and work in both horizontal and vertical orientations. 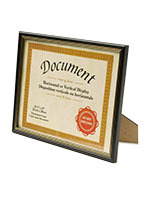 This type of lightweight metal sign enclosure is an economical and attractive alternative to acrylic, steel or wood framing and will complement any graphics, signs or commercial license information. 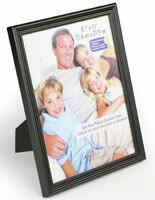 The black-finish aluminum photograph holders are also great for creating gallery-style displays of multiple photos or art pieces. 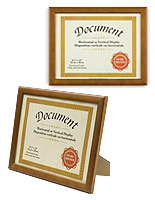 Document frames that can be showcased on counters, desks, tables and walls are versatile and economical choices for home or business use. 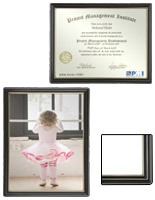 11.8" x 8.8" x 0.4375"
Great frame. 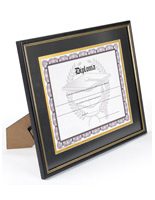 Perfect for displaying our employee accolades on the wall. I was happy to find an economical option. Good quality for the price and the fast shipping was a bonus. These are nice looking, easy to use and a good price. I had 145 shipped across the country with only 1 arriving broken. This is much better than the frames I've ordered from different companies in the past. 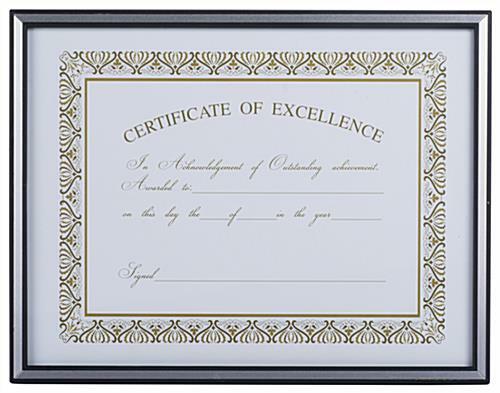 Customer service is good to deal with and efficient. 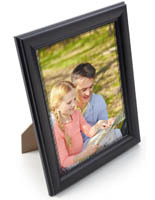 I wouldn't go anywhere else - including local - for frames. Thank you! That's great, Michele! 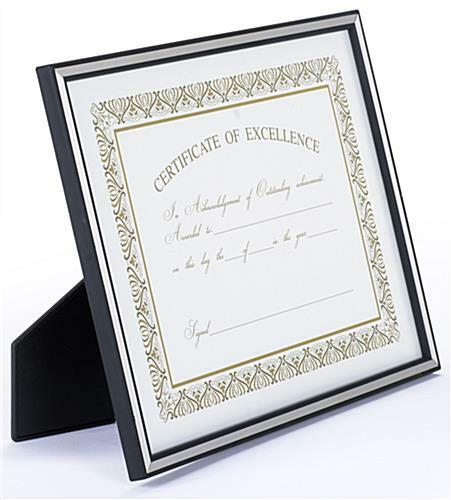 We are so happy that you're pleased with your order.